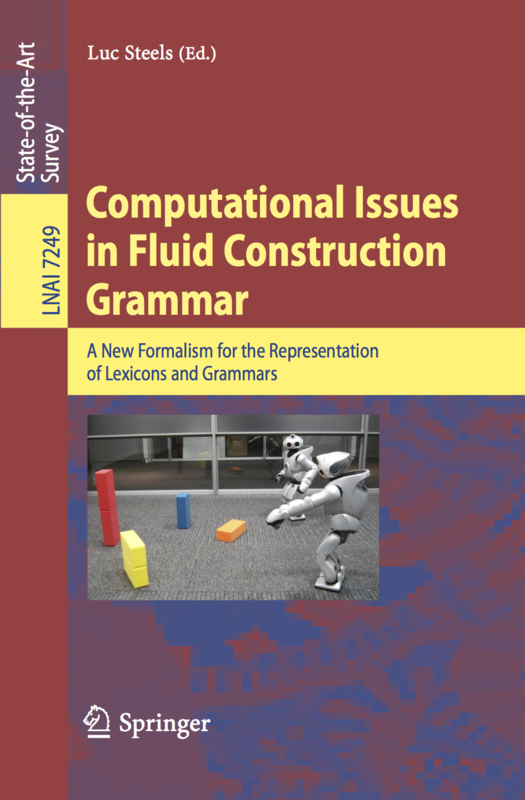 This state-of-the-art-survey documents the Fluid Construction Grammar (FCG), a new formalism for the representation of lexicons and grammars, which has been used in a wide range of case studies for different languages, both for studying specific grammatical phenomena and design patterns, as for investigating language learning and language evolution. The book focuses on the many complex computational issues that arise when writing challenging real world grammars and hence emphasises depth of analysis rather than broad scope. The volume contains 13 contributions organized in 5 parts from “Basic”, and “Implementation”, over “Case Studies”, and “Formal Analysis”, up to 3 papers presenting a “Conclusion”. Steels, Luc (Ed. ): Computational Issues in Fluid Construction Grammar, Springer Verlag, Berlin, 2012.